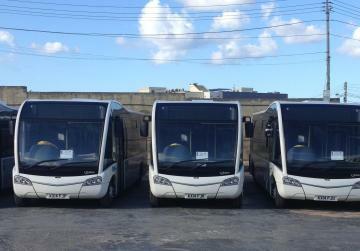 Eleven new buses arrived in Malta this morning. 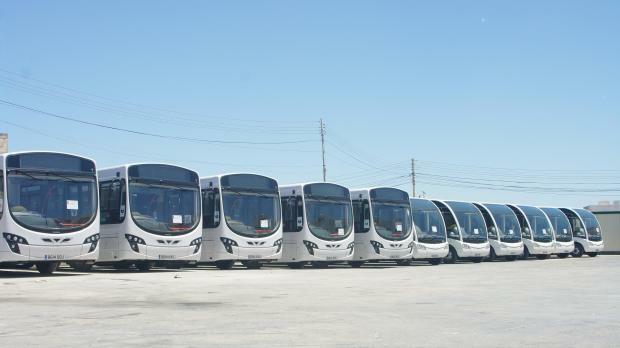 They will form part of a complement of 45 new buses leased by Malta Public Transport for one year to increase capacity, particularly in summer, and improve the overall experience for customers from a safety, comfort and accessibility point of view. The buses that arrived this morning are five 12-metre Volvos and six nine-metre Optare Solo buses. All are brand new, low-floor and air-conditioned, with Euro 5 standard engines. The Volvos are capable of carrying up to 90 passengers whilst the Optare can carry 45 passengers. Over the coming days, they will be fitted with the necessary equipment for the provision of public transport services, including passenger information, ticketing machines, GPS-tracking systems, and CCTV cameras. They will be put into service by the first week of June. Malta Public Transport will at the same time be carrying out familiarisation sessions for drivers and engineering personnel. Over the coming weeks, more of the 45 new buses will be arriving in Malta in separate shipments. The company is committed to have all the new buses in service by the end of June in time for the change over to the summer bus schedules and the peak of passenger demand.